Have you ever visited the SJ track sessions? I can remember when I first started running with Sandhurst Joggers and people used to talk about track and the handicap. Both things sounded entirely out of my depth and it took me a long time to pluck up the courage to go. I shouldn’t have worried! Whilst handicap is very much about throwing yourself round the loop (by the way handicap is next week!) and testing your own fitness level, track is more of a nurturing process overseen by our very own coaches and you are given expert guidance and help with all aspects of the session. For the next few months track is going to be FREE to attend (it used to cost £2). This is a perfect time to try it out if you’re unsure about whether it is something you might want to do. Oh and if you’re nervous I’ve put together a little overview below so you know what it’s all about! Every session starts at 7pm on a Friday where everyone eagerly gathers around the spectator stand. I say eagerly – this is generally a good time to catch up on club gossip and have a nice natter to people you might not have seen for a while! At 7pm the warm up starts. Everyone stays together and completes a couple of easy paced laps of the track. Bracknell track is located in a dip next to the road, so the only people that can see it are those running around it and bored ‘beef cakes’ that have been pumping weights in the gym and have stepped outside to cool off. I don’t have a photograph of them – whilst I may be fast at running away they are definitely bigger than me. Carl then usually has some crazy warm up activity. Which is mostly fun if a little confusing at times. Last week was about hopping of different legs when he called out different numbers…or something. Here’s the photograph of everyone hopping on the wrong leg definitely doing the right thing. After that the group splits into two based on speed. If you’re not sure which group to join you can chat to Carl or Jim and they will be happy to advise you. However it doesn’t really matter too much, as the exercises are about challenging yourself, not pitting yourself against other people. They will then explain what you’re going to be doing. Every week is different, but it usually involves running when you hear a whistle and stopping in the right place! It’s pretty easy to understand once one of the guys is yelling instructions to you around the track and I think I’ve only gone wrong a couple of times (possibly a joke…). It’s not all about sprinting or athletics style races, lots of the sessions involve trying to run at a consistent pace or improving your speed. Carl has also got a new coaching gadget on his ipad and will sometimes film his group to try and show what they’re doing wrong or how they can try and improve. At the end of the main exercise there is a group warm down and stretching session and everyone comes back together to moan about their legs and say things like “I can’t believe I choose to do this on a Friday night“. 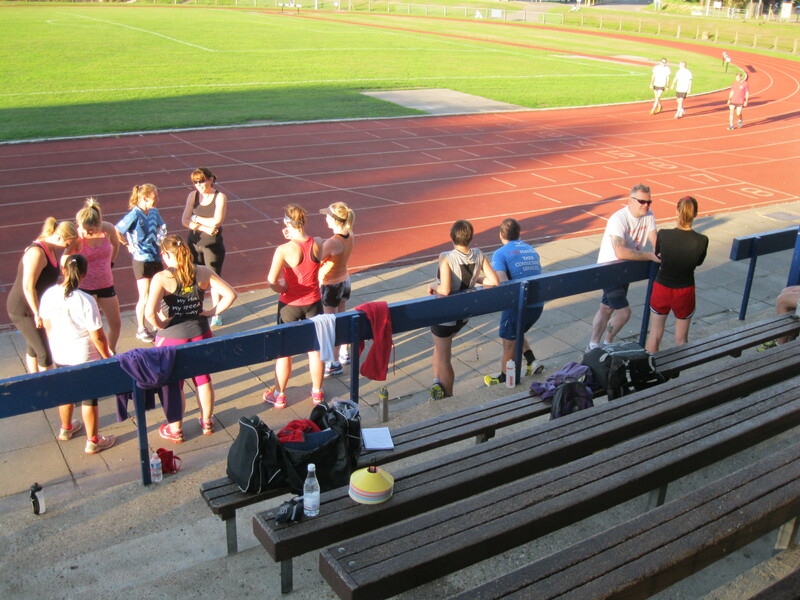 But funnily enough everyone comes back again the following week and suddenly those after work drinks don’t seem quite as appealing knowing how much more you’ll appreciate that glass of wine once you’ve finished a track session! Track really is a great way to improve in a guided environment, especially if you are unsure about where to go next with your training. 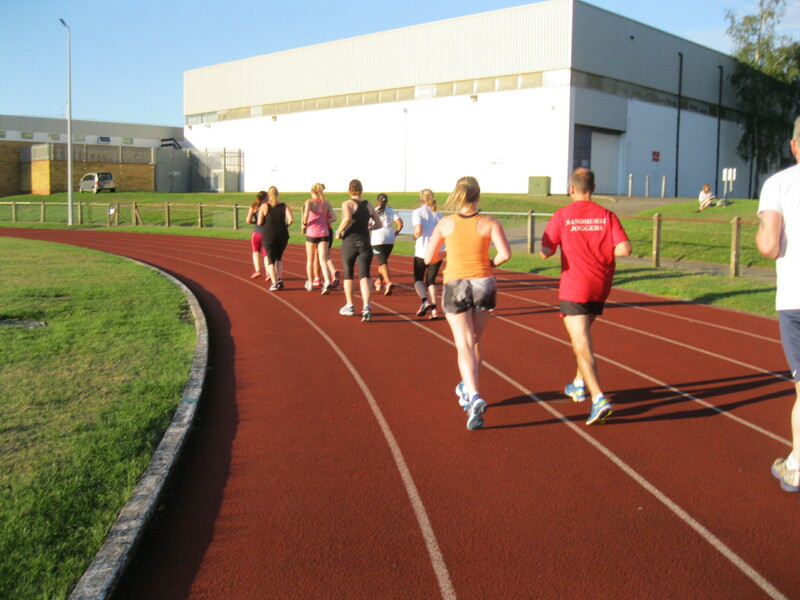 If you’re looking to start taking part in the tempo runs but don’t think you are quick enough to join the 10 min/milers then track is a fantastic stepping stone to get you there. If you have a particular race in mind it can also be good for building your speed and strength. 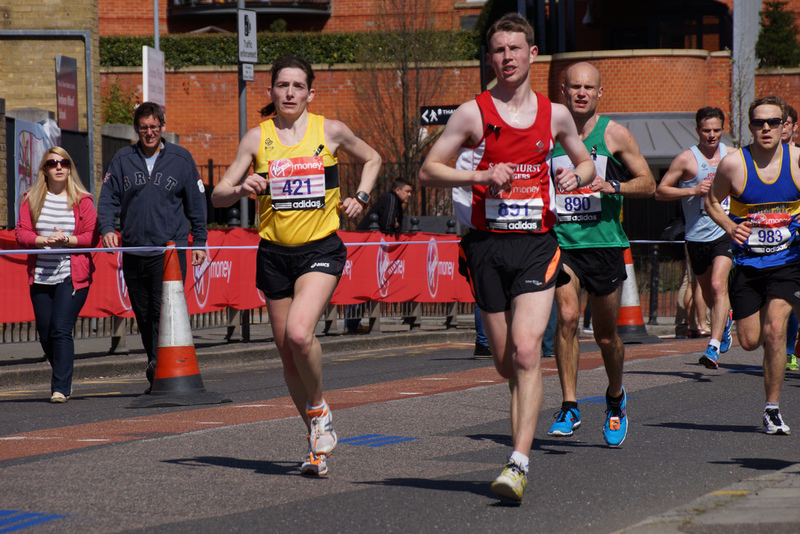 Everyone that regularly takes part sees great improvements in their running technique and speeds. The boys can also offer good advice on rehabilitation after injury, stretches to help tight muscles or all round running tips. The committee is trialling free track sessions over the next few months . If you’ve never been before, try to attend one session and see what you think. As always we appreciate any feedback you have as well – especially if you have seen some good improvement! I’d love to see more of you there – you all know how much I love a good chat! 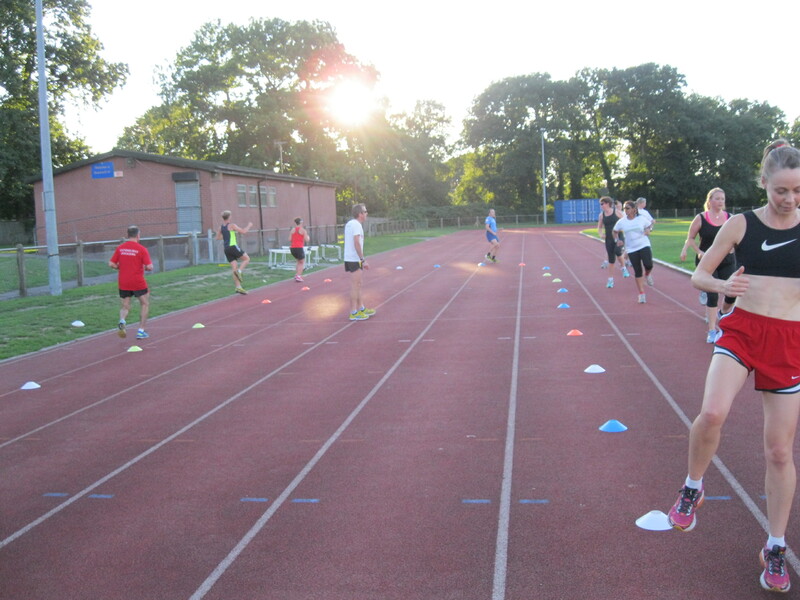 Track sessions start at 7pm at Bracknell Sports Centre and usually take 1 hour (inc. warm up and cool down). If the athletics track entrance gate (on South Hill Road) is locked then go to the main entrance for the swimming pool and you can then drive around another access path from the car park., See you there!